Just Cards is a type of a hobby magazine for those who are interested in crafts. Some of the people might just want to surprise their loved ones with a good present. Buy a single copy or subscription to Just Cards USA magazine. It gives you the ideas and freedom to make beautiful and exceptional greeting cards for every occasion, whether it is a birthday of your friend or a mother’s day card or thank you card. When was the last time you gave a greeting card to make him or her feel special? This is the time to ignite the creative card maker of you and make the most of this magazine and top it all, make your loved ones feel special about their presence in your life. 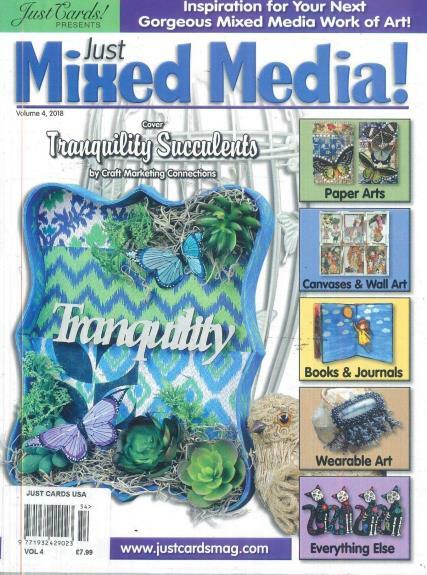 It is a simplified magazine to give you beautiful and creative ideas for card making. They give you many examples and types of card making. You can make anything simple and sweet or something complex and different, the choice is completely yours. This magazine also gives you step-by-step instructions to make a particular card. It does make your card making easier and fast.